My name is Dana Meir. I grew up in several places around the world and every place contributed to shape my current world-view. 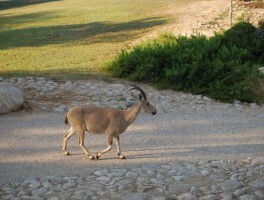 I always knew I would return to Israel, as I wanted to volunteer in the Israeli army, which I did at age 19. At the completion of my military service, I studied physical education with emphasis on special needs. Sport was always an area of interest for me. In retrospect when I look back on my work history I realize all my jobs were involved in dealing with different disadvantaged people. 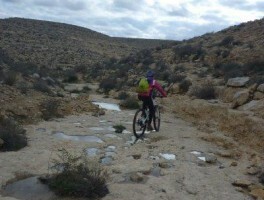 As a biking instructor in the Negev, I developed an expertise in taking special groups needing empowerment and leadership skills on off road biking expeditions in the desert. 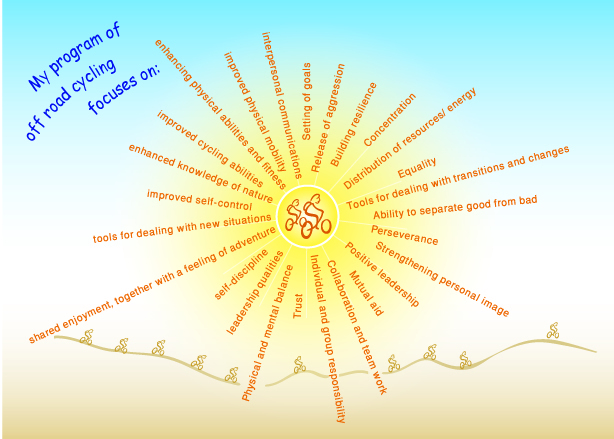 I work with groups of juvenile offenders, participants in drug and alcohol rehabilitation programs, women’s groups, and Bedouin youth. 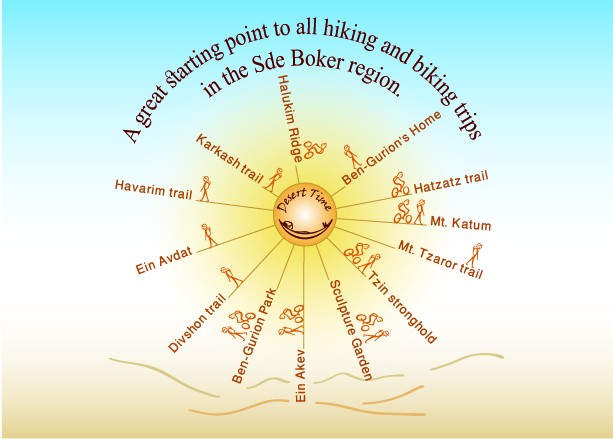 Midreshet Ben Gurion is a great starting point for all hiking and biking trips into the Sde Boker region. Guests can enjoy a cool and spacious one-bedroom apartment with kitchenette, desert views and access to biking and hiking routes. The apartment can accommodate up to four people. Enjoy a shaded north facing patio and hammock with a ten minute walk to a bus stop. Free maps and touring advice are provided. 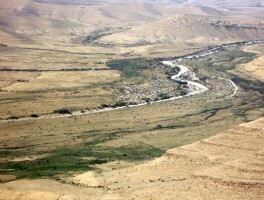 Discover the real Negev. 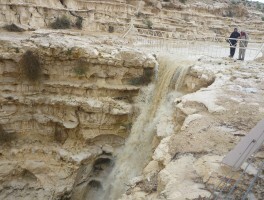 See the Negev with your feet on the ground rather than from the inside of a bus. I like spending time with people and sharing desert experiences with them. Do you like ancient civilizations? Nature? Landscapes? 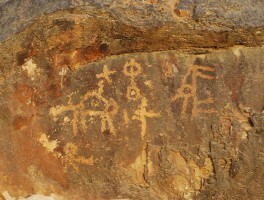 The Negev desert offers all three. I can offer tailor-made trips to suit your individual interests. The desert is the perfect place to get away from the routine of everyday life. Whether you’re looking for relaxation, an adventure, or a spiritual experience, the desert has something for you. Bike the less well known trails! 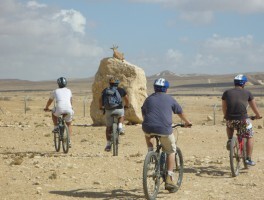 Bike trips are organized and led by myself, Dana Meir, a qualified biking instructor. 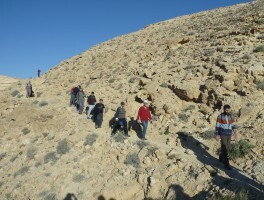 Trips are tailored to suit all levels of experience and ages. For example these trips can include a relaxing trip for a family or an intense adventure for those seeking physical and mental challenges. I also have training and experience working with adults and children with disabilities. 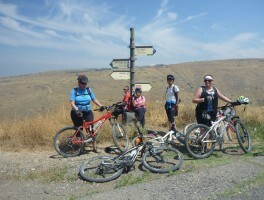 Bring your own bikes or good quality mountain bikes can be hired on request.